Today I get to share with you my newest make - the Scarlet Swing Dress. This was my first time to test out a pattern for Greenstyle Creations, and let me just say, that this dress is absolute love. 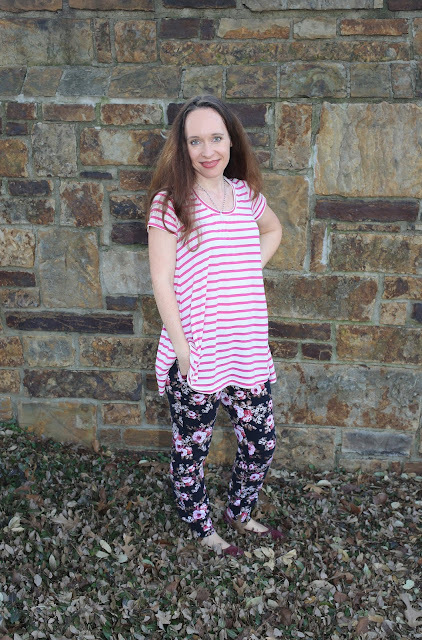 I discovered my love for Greenstyle patterns when I tried out the Brassie joggers and Centerfield Raglan last fall, and I have been wearing both non stop. I have a feeling that the dresses that I made in testing will get tons of use too. The Scarlet Swing Dress has a beautiful full shape with the option for a straight hem (like I did on mine) or a high-low hem. There is a tank view as well as long and short sleeves. I made two long sleeved dresses and one short sleeved tunic. The pattern also includes a cold shoulder cut out that is finished with bands. There are two scoop necklines to choose from - a lower neckline and a crew neck. This fabric is a single brushed poly called Moonstruck from Sly Fox Fabrics. 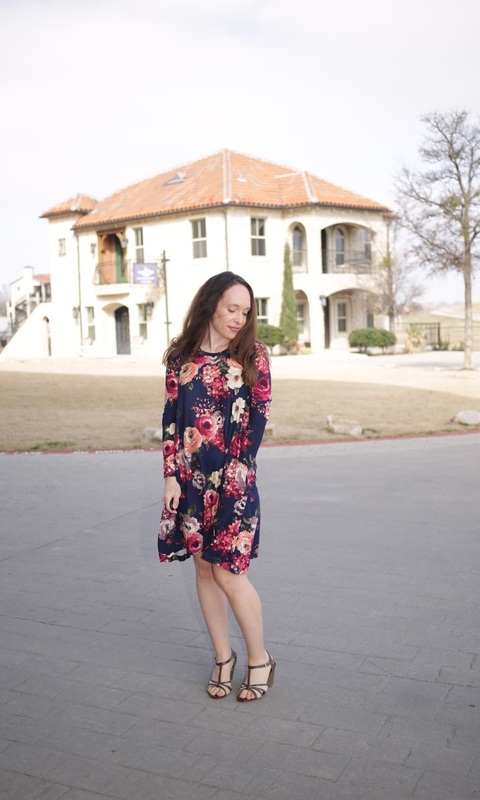 It is perfect for a warmer dress, but since it is a polyester, it is a little sweaty for our hotter months in Texas. 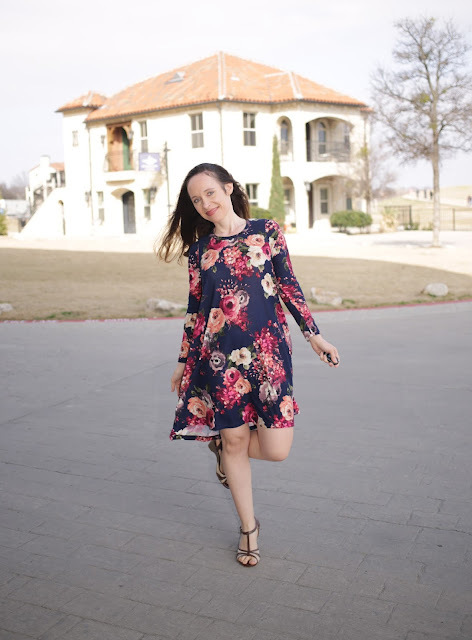 It kept me at the perfect temperature on this February day (we were almost at 70 degrees!) Also, I added pockets to this version. 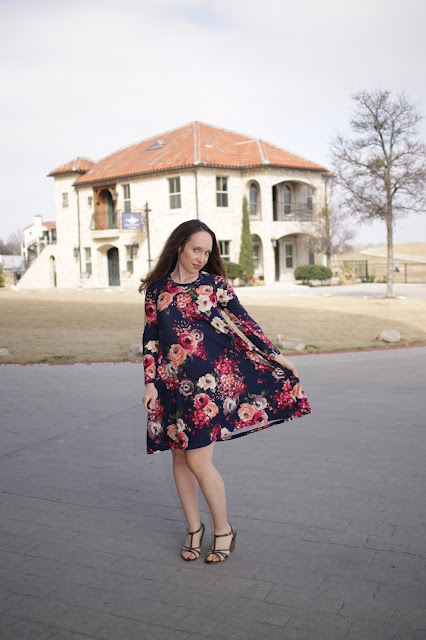 I love pockets on a dress! 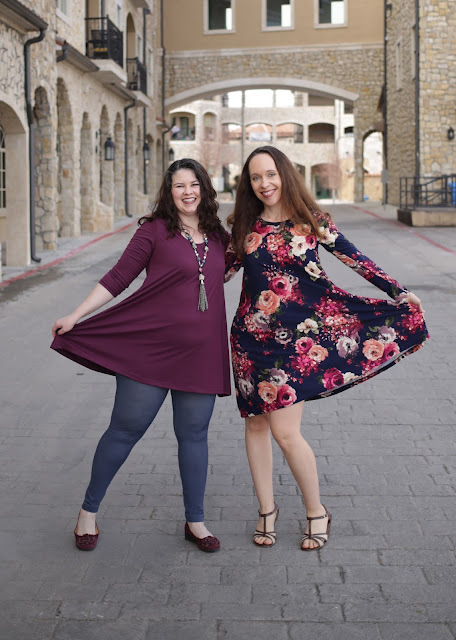 I have been friends with Aimee Wilson for a few years now, but this is the first time we have tested a pattern together. When we first met, we began fabric shopping together, and then, we started sewing together. 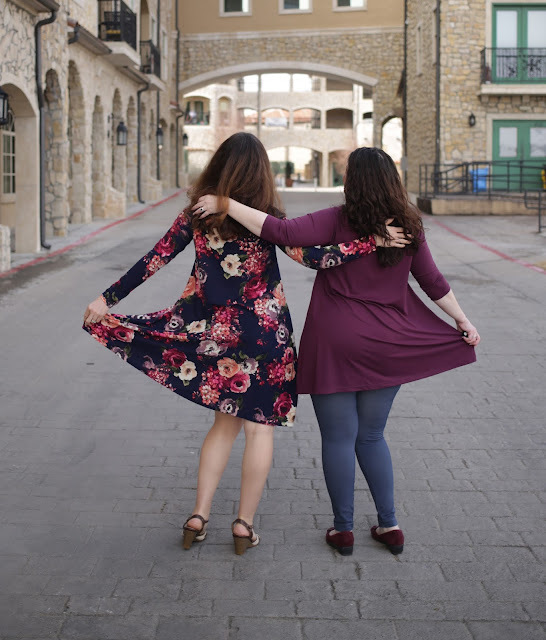 Now, she is such a great friend and this past weekend, we loved finally getting to take photos together! I love this photo of us together! 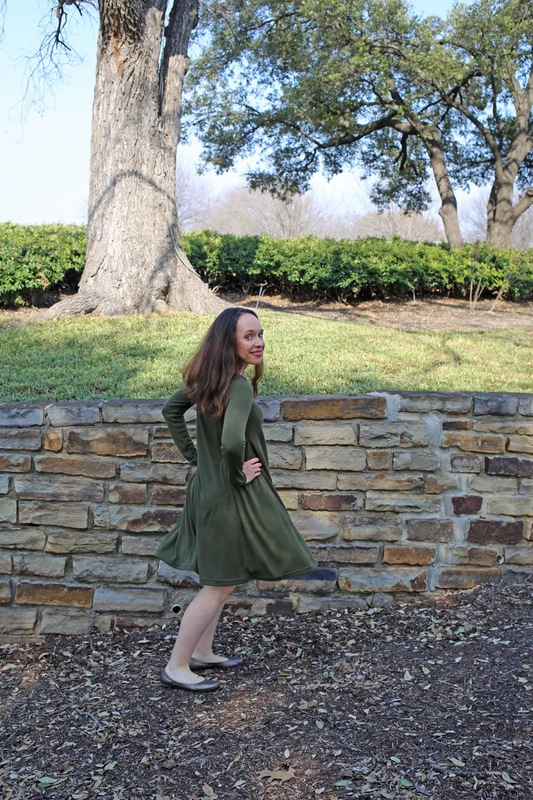 A swing dress is such a fun twirly dress that is also so feminine and flattering. 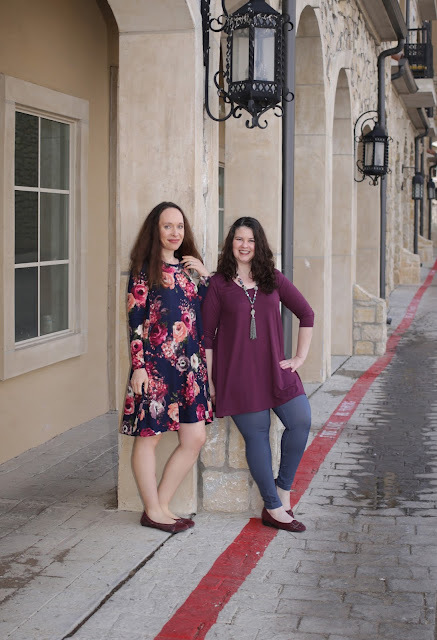 In this photo, she is wearing the tunic version, and I am wearing the short dress version. There is also a high-low version and a longer length of this dress. We had a ball posing together. My first version of the dress in testing was made out of a sweater knit. It is super comfy and has wonderful drape. It was a bit camouflaged with my surroundings, though, so it was the hardest one to photograph. Also, sitting still for pictures is hard work. Here I am spinning around! 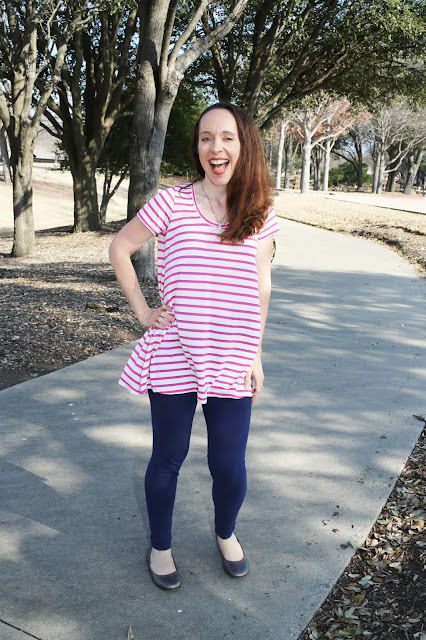 My final version was the tunic length with a scoop neck made out of a striped jersey blend. 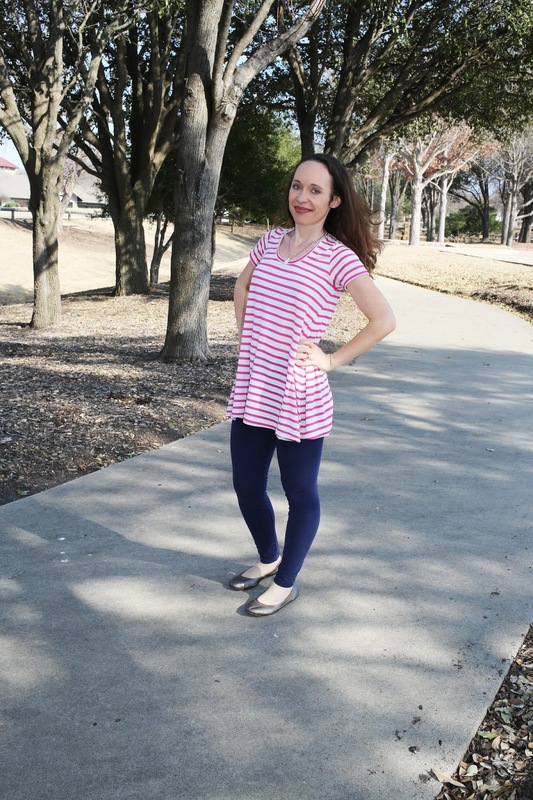 I paired it with floral Greenstyle Brassie joggers and also with some solid navy leggings. Super comfortable! You can buy this pattern here. Have fun sewing! Disclosures: This post may contain affiliate links, which means I receive a small compensation when you purchase via my link. There is no cost to you. Any and all opinions expressed are my own. Thank you so much for taking time to read this post!